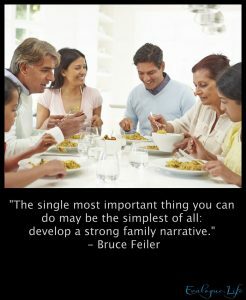 I didn’t set out to write my own family’s story, or anyone else’s for that matter. In 2007 the power of story showed up in my life out of nowhere. It started as a little spark, or a nudge, or in religious vernacular a “prompting,” just to pick up a pen. I never intended to write a book, but somehow felt that I should nurture this creative outlet. It felt like the whisperings of a purpose I needed to fulfill, and I have trained myself to stop, listen and act on these feelings like my parents always did. So, I circled a date on my calendar and decided to simply pick up a pen and begin. When that date arrived, ideas about my parents flowed freely and in the middle of that writing, I got a call my dad had just passed away. The timing, given everything that was on the page was unbelievably uncanny. After the funeral, my mom and I set to work writing their life story, Every Essential Element and the process changed me. What began as a little spark became a fire that gets me out of bed before dawn each day. People’s stories are now my life’s devotion. But why? What is the power of story over us, and why are stories so important for families? What I have learned since beginning this process is that humans are storytelling animals, wired for story in powerful ways. We daydream with our minds telling a running narrative. We dream in story form at night and we literally cannot turn it off. Children act out stories in play. Every movie, television show, and most great songs are stories. Even television commercials grab us with mini vignettes. Interactive gaming creates whole worlds of story in which players become live action heroes. Stories are how we convey our culture and teach children. Every religious text and oral history tradition passes a canon of stories to the next generation. Business stories strengthen the best organizations in the world, and help acclimate new employees to the way it’s done here. First: Stories have the power to save families. Second: Stories turn random events into meaning. Third: Stories are the only way we will be remembered. In my own family, I could not have known when I began writing Every Essential Element that one day, I would have a child who would only know her grandfather, for whom she is named, by his stories. The words I wrote would help my daughter understand what an honor it is to be named for him, and that she is part of a wonderful extended family with a unique set of values. My nieces and nephews told me how much the book meant to them, and that it made them “proud to be an Anderson,” as one nephew put it. 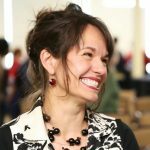 The process helped me solidify my own values as the kind of person who acts on faith. It also helped me see my mother as a heroine in an epic love story, and it forever changed my relationship with her. “We were blown away,” the researcher said. 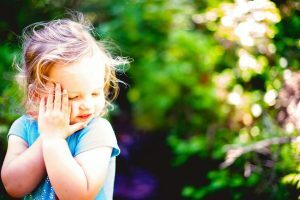 The children’s answers told whether they had a sense of being part of a larger family, the research stated. Children with the most self-confidence have a strong “intergenerational self.” They know they belong to something bigger than themselves. Anyway, back to Bruce Feiler. He goes onto clarify that while all stories carry meaning, some are better than others. I love that they’re not advising us to Clorox the tale. 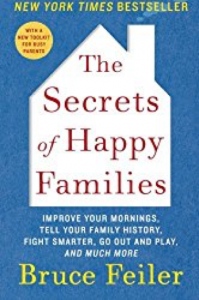 The bottom line of his work: if you want a happier, more resilient family then intentionally create and retell the story of your family’s positive moments and your ability to get through the difficult ones. This one simple act may increase the odds that all of our families will thrive for generations to come. In short, story is how we teach and how we inspire. Story has the power to change people. Here is one of my favorite examples of how story shapes meaning. In Helen Keller’s autobiography the part that stuck with me is where she describes how as a girl, the world existed for her as amorphous shapes that she did not understand. It was not until she gained language that she fully awakened. The ability to describe the world and put it into words made everything come alive for her. She came alive. As she discovered the world through language, she discovered her purpose in it. Humans are wired for story. We walk around assigning meaning through language throughout each day. We’re all storytellers in our heads, and most of us will tell anybody who will listen. With just a few facts, we are capable of shaping an entire narrative about what our lives mean. We are storytelling animals. 3. Stories are the only way we will be remembered. There was no way I could have known when I began writing my parents’ story that one day I would have a little girl named after my dad, and that she would only know him through the book. Without stories passed on, she would share a name with a headstone but not have a connection to the funny grandpa, the passionate entrepreneur, and the in-love husband that he was. How many of your 8 great-grandparents can you name from memory? Do details and personality traits come to mind about all 8 of your great-grandparents? Do you know how you take after these ancestors or how you don’t? What were their heartbreaks and joys? Here is a confession. I didn’t even realize I had 8 great-grandparents until I was an adult and did the math. Why? Because I only knew stories about some of them. Now I know them all and I feel like I know them well. Am I right that the ones you remember have stories attached? It is curious to me that we spend so much money on granite markers to withstand time, yet these markers only provide a name and a date, maybe a quote. Stone monuments tell nothing about people’s lives or what they learned in their time on earth. It’s a sobering thought to me that by the time the last person dies who personally knew me, the ONLY memory will be stories passed down. Two generations, that’s all it will take to wipe out all memory of me. Related: Coco reminds us what is truly important: family. Past, present and future. I have seen people evolve through the telling of their story. In other words, they sometimes grow right before my eyes. This usually happens when I am interviewing someone for a full book. 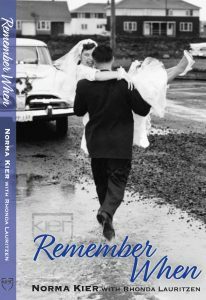 It happened in the process of writing Remember When, with Norma Kier. She conquered her greatest fear at age 80 while we were still writing the ending. There are times when I see something in the teller of a story that her or she may not have noticed in themselves. When I write about their life, they see it through a new lens and it often it solidifies their strengths or points out fences that still need mending while there is time. In my own family, I have become more intentional to preserve the ongoing narrative of our story because I know it will strengthen us now, and in the future. I write each story as a love letter to the future, much like the one I found from my dad in the video above. 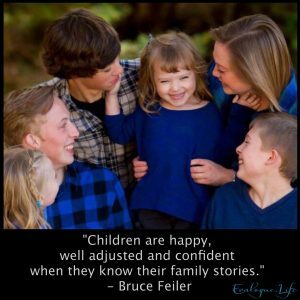 In my experience doing family interviews, writing and speaking, most people intuitively know the value of personal history, but they’re burdened by the work. They don’t know where to start, or they don’t believe they have the writing skills. That is why I started this business and why it is such a joy to do this work. I hope you enjoy all the free tools and resources at www.Evalogue.Life, and that we can connect. This article contains affiliate links with Amazon which means if you buy one of the books I mentioned using our links we make a small commission. Thank you! It really helps us write free articles like this. Don't have regrets. Preserve a life story now with our all-time best questions. Interview a loved one or prompt your own personal history. Do it now, and it will be enough. Success! Now check your email for our favorite questions to ask. Wow! Rhonda, very very cool. I wish you all the success in the world. And I hope you never run out of stories to tell, and to help tell. Thanks so much, Corey. Your encouragement means a lot, especially during a start-up phase that is by nature a bit scary.